The proportional injection speed control system is extensively adopted by injection machine manufacturers. In this article, we are going to explain the benefits of applying the multi-speed injection molding process, while offering an overview on the role it plays in eliminating product defects, such as short shot, entrapped air and sink marks, etc. By virtual of its close relation with product quality, plastic injection speed has become one of the key parameters of plastic injection molding. By defining the front, center, and rear of the feeding speed segmentation, and realize smooth transition from one set point to another, a steady molten plastic surface speed can be guaranteed to turn out the desired product. 4). 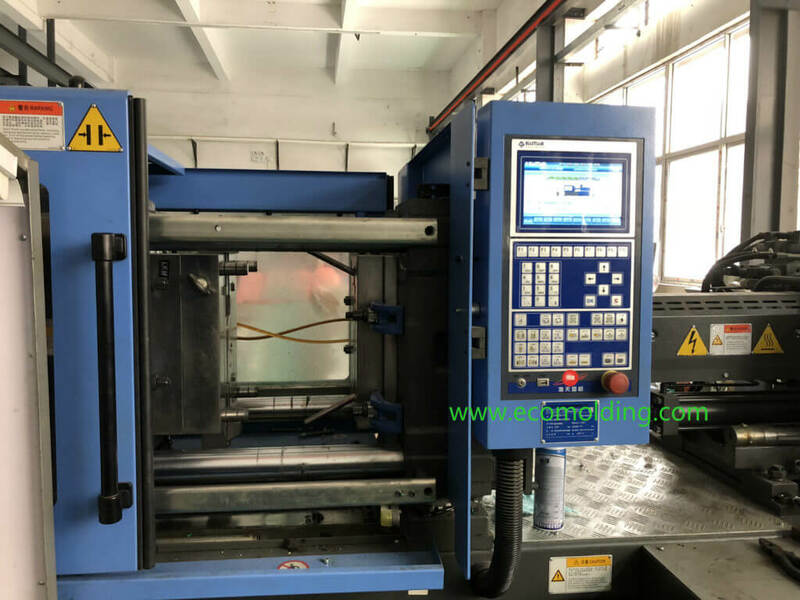 The plastic injection speed needs to ensure that the injection process immediately stops after the mold cavity is filled up, so as to avoid over flow, flash and residual stress, etc. The several considerations for speed segmentation settings include geometric shape of the mold, other flow limitations and some uncertainties. To set the speed properly, we need to have a good understanding of the injection molding process as well as the materials, or it will be hard to control product quality. Though it is not easy to measure the speed of the molten plastic directly, we can gauge the speed indirectly via the measurement of screw moving speed or cavity pressure. The characteristics of a material are of great importance, because polymers may decompose under a different stress, and mold temperature rise may lead to vigorous oxidation and chemical structural degradation, but at the same time, shear may lower the level of degradation, because the higher temperature has reduced material stickiness and therefore the shear force. Undoubtedly, the multistage injection speed control is very helpful for the molding process of thermally sensitive materials like PC, POM, and UPVC, as well as their ingredients. The shape of a mold is another defining factor: the thin-walled area needs the fastest injection speed, and the thick-walled part needs the slow – fast – slow speed curve to avoid defects; to bring part quality up to standard, the setting of injection speed needs to make sure that the speed at the forefront of the molten plastic is constant. The flow speed of the molten plastic is so important that it will influence the molecular orientation and surface status of the final part. When the forefront of the molten plastic comes to an intersection, the speed should be decreased; for a complex mold with a radial expansion, we need to ensure that the throughput of the molten plastic increases in a balanced manner; as for the long runner, fast injection is needed to lessen molten plastic forefront cooling. However, the injection of high stickiness materials like PC is an exception, because if the speed is too high, the cold slug will be brought into the cavity via the gate. The adjustment of injection speed is able to help eliminate product defects caused by the slower speed at the gate. When the molten plastic arrives at the gate via the sprue and the runner, the surface of its forefront may have solidified, or the molten plastic comes to a standstill because the runner suddenly narrows. It will not move forward until enough pressure is built up to push the molten plastic through the gate. In this instance, the pressure that passes through the gate will show a peak shape. The high pressure may do harm to the material and lead to surface defects like flow marks and burnt streaks on gate, etc. This can be resolved by slowing down the speed right before the molten plastic enters the gate, because it is able to prevent over shear at the gate location. After that, restore the injection speed to the original value. Since it is difficult to precisely slow down the injection speed at the gate location, it is a better solution to slow down the speed in the final section of the runner. We can reduce or even avoid product defects like flash, burnt marks and entrapped air by controlling the injection speed in the final section. Also, slowing down in the final section can help prevent overflow, thus avoiding flash and reducing residual stress. The entrapped air caused by poor ventilation in the final section of the mold flow path or feeding problems can also be resolved by slowing down the air venting speed, especially the air venting speed in the final section of plastic injection. Short shot occurs because of the too low speed at the gate or the local flow blockage caused by plastic solidification. The issue can be resolved by increasing injection speed when the molten plastic is passing through the gate or when local flow is blocked. Product defects like flow marks and burnt streaks on gate which tend to appear on thermal sensitive plastic materials are usually caused by the over shear occurring when the flow passes through the gate. The production of smooth-surfaced parts is dependent on injection speed, yet glass fiber filled materials are even more sensitive, especially nylon. Streaks (wrinkles) are caused because the flow is not steady due to stickiness changes. A twisted flow may lead to wrinkles or uneven fog-like patterns, among which the specific defect is dependent on the level of flow unsteadiness. When the molten plastic passes through the gate, a high injection speed will lead to high shear, causing thermal sensitive plastics to burn. The burnt plastic will then go through the cavity, reach the forefront of the flow, and finally appear on product surface. To prevent jetting marks, injection speed setting must guarantee that the flow is able to fill the runner area quickly and then passes through the gate slowly. Essentially, the key is to find the transition point. If too early, filling time will be overextended; if too late, the excessive flow inertia will lead to jetting marks. The lower the stickiness of the molten plastic and the higher the barrel temperature, the more likely jetting marks will occur. Due to the fact that the small size gate requires high-speed and high pressure injection, it is another important factor that causes flow defects. Sink marks can spread under pressure, so the problem can be improved by reducing the pressure. Flow distance will be greatly shortened in the scenario of low mold temperature and slow screw speed, so increasing injection speed will be able to compensate for the distance. A high speed flow is able to minimize heat loss. In addition, the high shear heat will produce frictional heat, causing molten plastic temperature to rise, which helps reduce the thickening speed on the outer layer of the part. An adequate thickness must be guaranteed for the intersections inside the cavity, so as to prevent excessive pressure loss, or sink marks will appear. In a word, most of the injection molding defects can be resolved through injection speed adjustment. Hence, the trick of adjusting the plastic injection molding process is to appropriately set the injection speed and its segmentation.